To evaluate the diagnostic utility of electric properties tomography (EPT) in differentiating benign from malignant breast lesions in comparison with dynamic contrast-enhanced magnetic resonance imaging (DCE-MRI). In this institutional review board-approved retrospective study, 116 consecutive patients with 141 breast lesions (50 benign and 91 malignant) underwent 3-T MRI, including 3D turbo-spin echo (TSE) sequence and standard DCE-MRI scans between January 2014 and January 2017. The lesions were segmented semi-automatically using subtraction DCE-MR images, and they were registered to the phase images from 3D TSE. The mean conductivity of the lesion was obtained from phase-based reconstruction of lesions. From the DCE-MRI, initial enhancement rate (IER) and signal enhancement ratio (SER) were calculated from signal intensity (SI) as follows: IER = (SIearly - SIpre)/SIpre, SER = (SIearly - SIpre)/(SIdelayed - SIpre). The parameters from EPT and the DCE-MRI were compared between benign and malignant lesions. There was significant difference in mean conductivity (0.14 ± 1.77 vs 1.14 ± 1.36 S/m, p < 0.0001) and SER (0.77 ± 0.28 vs 1.04 ± 0.25, p < 0.0001) between benign and malignant lesions, but not in IER (p = 0.06). Receiver operating curve (ROC) analysis revealed that the area under the curve (AUC) of the mean conductivity and SER was 0.71 and 0.80, respectively, without significant difference (p = 0.15). The mean conductivity of EPT was significantly different between benign and malignant breast lesions as well as kinetic parameter or SER from DCE-MRI. • The conductivity of malignant lesions was higher than that of benign lesions. • EPT helps differentiatie benign from malignant lesions. 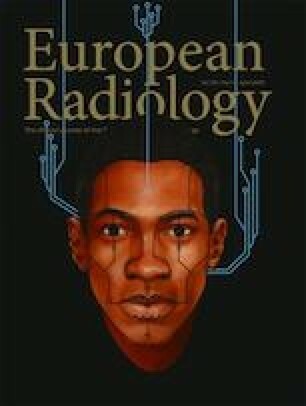 • Diagnostic ability of EPT was not significantly different from that of DCE-MRI. The online version of this article ( https://doi.org/10.1007/s00330-018-5708-4) contains supplementary material, which is available to authorized users. This research was partly supported by Philips Healthcare. The authors thank Sharon Harris in the University of Chicago, for her kind support. The authors thank Yumi Fujimoto, Shomo Chou in Tohoku University for their kind support. The scientific guarantor of this publication is Hiroyuki Abe. The authors (Naoko Mori, Keiko Tsuchiya, Deepa Sheth, Shunji Mugikura, Kei Takase and Hiroyuki Abe) of this manuscript declare no relationships with any companies, whose products or services may be related to the subject matter of the article. Ulrich Katscher is an employee of Philips Technologie GmbH, Research Laboratories.